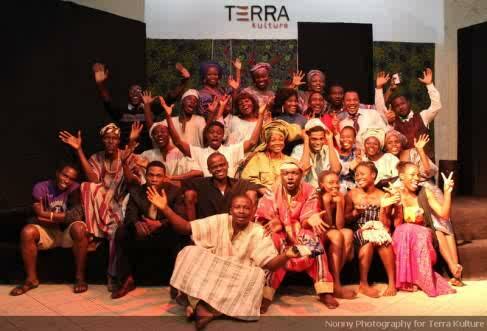 The ‘Performing Arts Workshop and Studios’ (PAWS); one of the foremost and reputable theatre company dedicated to the development of talent in performing arts has once again broken records with the performance of Wole Soyinka’s award winning play ‘Death and the King’s Horseman’ which was staged on 22nd July and 29th July 2012 at Terra Kulture. This performance also marks the end of ‘A Harvest with Soyinka’; a celebration of Drama sketches and play of the Nobel Laureate, which includes ‘Home to Roost’, ‘Obstacle Race’, ‘Press Conference’, ‘Priority Project’, ‘Symbolic Peace Symbolic Gift’ and ‘Childe Internationale’ which was also staged in the first three weeks in July 2012. The impact of colonialism by the Whites on Africans was brought to the audience awareness in ‘Death and the King’s Horseman’. Soyinka in this play tries to look at how both cultures find it hard to understand the belief systems of the other and also how the District Officer of the province; Simon Pilking whom is regarded to have come from a more ‘civilized’ culture stops the Eleshin Oba from fulfilling his destiny which is to commit suicide in order to accompany the dead king to the heaven as made clear by Joseph to the Pilkings’ who regards it as a ‘barbaric’ custom. This brings about tragic circumstances in the land as the ‘young shoot’ (Olunde) sacrifices himself for the land instead of the ‘parent stalk’ (Eleshin) who is saddled with the responsibility. The intellectual thrust of this play can be found in Soyinka’s essay; ‘The Fourth Stage: Through The Mysteries of Ogun to the Origin of Yoruba Tragedy’ which is an analysis of the Yoruba concept of tragedy. The play received a standing ovation during the performance on the 22nd and 29th July and according to some member of the audience, the play has never been performed to the point of understanding due to the elevated and poetic language of the play which makes it pretty difficult to comprehend with. Some also appraise the director for having stage the play with 21cast which has never been done before owing to the large cast in the play. 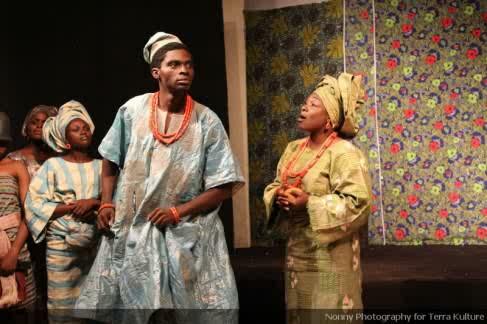 The production company over the past 4months has staged plays by writers of great repute which includes; ‘Oh! How Dearly I Detest Thee’ by Jeanne Libondo in April 2012, ‘Rubiewe’ an adaptation of ‘Beauty and the Beast’ in May 2012, and ‘Midnight Blackout’ by Femi Osofisan in June 2012, all directed by one of the most talented directors in the Nigerian theatre industry; Kenneth Uphopho and stage managed by Ibukun Fasunhan. According to the Associate Producer; Brenda Uphopho, the theatre company will be going on a recess to be back on October 2012 with a repeat of ‘Rubiewe’ an adaptation of ‘Beauty and the Beast’ which is being brought back on stage by popular demand.